WINTER SALE - Usually 64.95, today just £34.95 - Save £30! 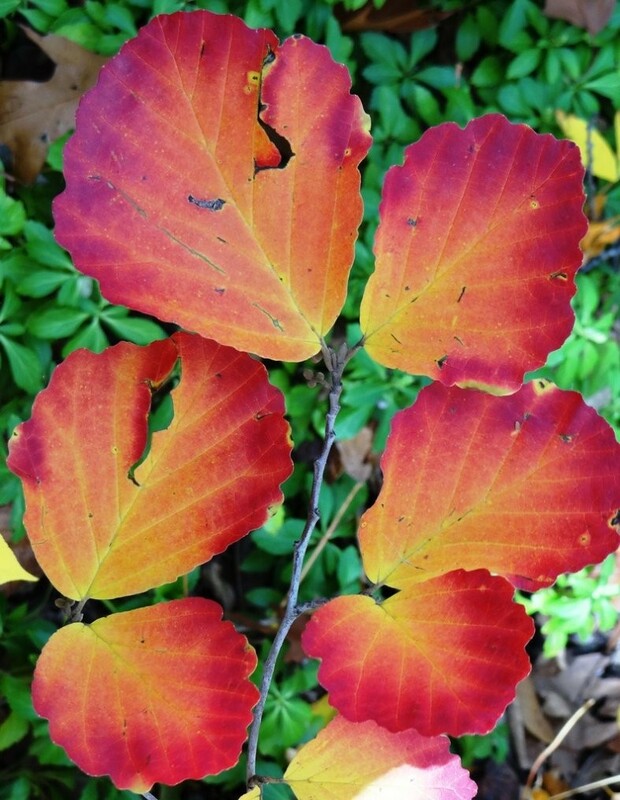 Hamamelis, better known as Witch Hazels are spell-binding shrubs clothed in down green leaves in spring and summer, and transformed into a blaze of yellow colour foliage in the autumn. 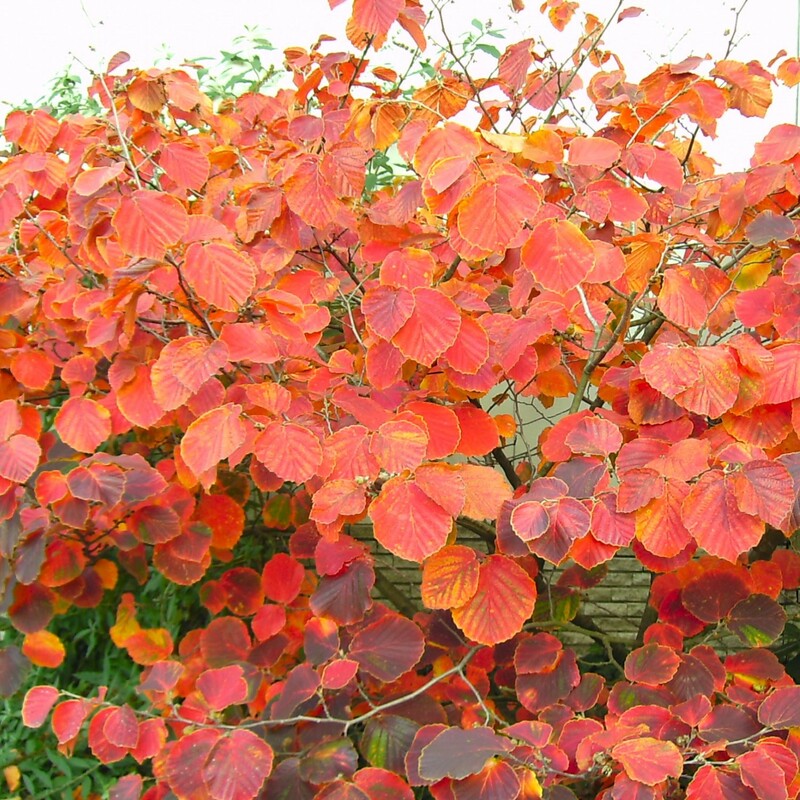 This plant is strong growing and very frost-hardy. 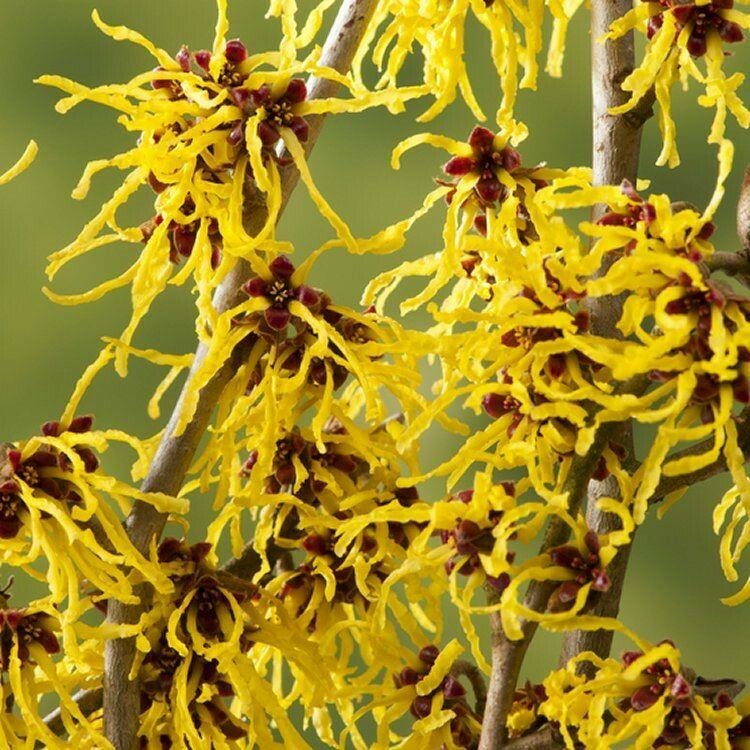 'Arnolds Promise' is unique amongst Witch Hazels in that the spidery flowers are a golden yellow and curl up much more than other varieties, giving this shrub a delicate feel. They unfurl from the winter solstice at the very beginning of each year, filling the winter air with their sweet perfume. Enjoy the fragrant cut stems indoors. 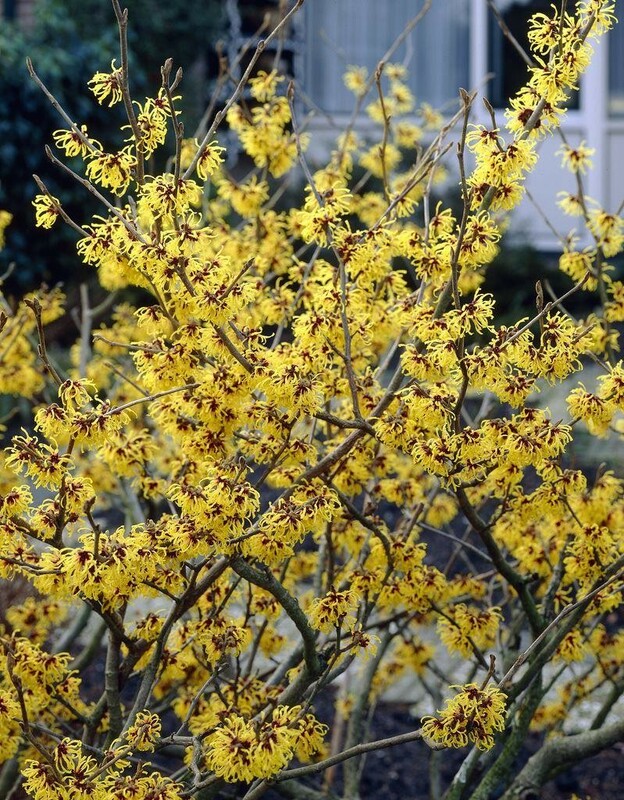 An ideal shrub as a specimen in the Winter border, looks particularly good with the bold stems of the Cornus Dogwood. Supplied well branched, in bud/flower in season, at around 80cms tall in approx 10 Litre containers.